A cursory look at the 2018 budget recently presented by President Muhammadu Buhari to the National Assembly raises few important questions for the very inquisitive mind. The total funds allocated to the education sector is N605.79bn, of which 544.07 (89.9%) will service recurrent expenditure while the remaining 61.73bn (10.1%) is reserved for capital expenses. The 2018 education budget, which is inclusive of Universal Basic Education Commission (UBEC) funds, constitutes only about 7 percent of the year 2018 budget of consolidation. Consequently there are many questions, which remain largely unanswered going by recent developments in the country. Has the quality of education in recent times improved than it was seventeen years ago? Given the estimated 11.4 million children out-of-school, a UNICEF estimate which used to be at 10.5 million, have education budgets and funds disbursement reduced the number of Nigerian children out of school in the past few years? Despite government’s special reforms and intervention in education over the past few years, is our educational system the better for it, from primary through the tertiary level? Are there noticeable changes in educational outcomes talking particularly about students’ performance in external and internal examinations in Primary, Junior, and Senior Secondary School levels, among others? How have the grant funds to tertiary institutions improved the quality of tertiary education and research in Nigeria’s citadels of learning? These and many more are questions begging for answers. While it may require consultant experts in education Monitoring and Evaluation to provide research-driven, evidence-based and sector-specific answers to the above questions; given that indeed education has many sub-sectors; desk reviewers and concerned stakeholders (like us) may yet be able to highlight and raise few issues pertaining to sub-sectors of education in Nigeria particularly the basic education sub-sector. 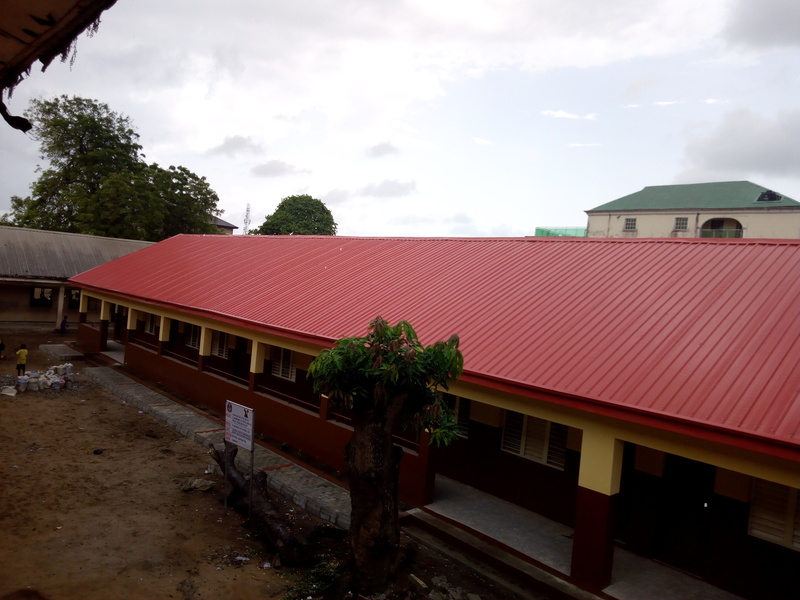 Taking a cue from this sub-sector, the Federal Government had shown its commitment to the improvement of basic education since return to civil rule in 1999; particularly through instituting the Universal Basic Education Commission. The Universal Basic Education (UBE) program backed up by the UBE Act of 2004, is a special intervention of the Federal Government of Nigeria, which improved on the former National Primary Education (NPE) which had been operated from the 70’s till early 2000. The mandate included achieving Education for All (EFA), reducing the rate of school dropouts and children out-of-school; improving quality and efficiency of basic education, as well as promoting the acquisition of literacy, numeracy, life skills and values for life-long education and useful living. The Federal Government of Nigeria in order to achieve these aims, through the Basic Education program declared education from primary to junior secondary school free and compulsory, and a fundamental right of all school-age pupils. The UBE Act provides the 36 states of the federation and the Federal Capital Territory (FCT) with intervention funds, which can be accessed upon meeting certain conditions. The conditions to be met include among others, providing a fifty percent (50%) counterpart funding to match FG’s own contribution (matching grant); the presentation of an Action Plan detailing proposed projects of how to spend the funds for education for every fiscal year. An Action Plan is an annual document prepared by State Universal Basic Education Board (SUBEB) of each State showing breakdown of intervention projects or activities to be implemented in public primary and junior secondary schools. This document usually details project description, beneficiary schools, quantity, locations, unit costs, total costs and duration for execution. It is a very critical document which helps potential UBE projects monitoring. It is also a pre-requisite that the previous year’s project must have attained a 70 percent completion before accessing another fiscal year’s fund at the UBE Commission. More so, it is pertinent to note that UBEC has gone a step further to encourage States to access UBE funds; this informed the rating and classification of states as high, moderate, or low performing in accessing their UBE grant funds. Unfortunately, many states are unable to meet up with the conditions for accessing these funds and basic education consequently suffers setback in their respective states; although some states that also have accessed UBE funding also experience setbacks. While Basic Education administrators complain of paucity of funds, the Federal Government’s matching grants remain at the Central Bank of Nigeria waiting to be accessed for the development of the same, throughout the country. These undoubtedly are tales of woe; elucidating an experience of the proverbial butcher’s son who suffers lack of meat and thus settles for the worst of the bones. It is a situation of suffering lack in the midst of plenty and putting up with rags amidst an avalanche of gorgeous clothes. As at March, 2017, according to information published on UBEC’s website, over 59 billion naira (exactly 59,744,722,935.10) remain unaccessed by States of the federation in UBEC funds, with states such as Delta, Ebonyi, Ekiti and Niger having left-over funds from as far back as 2011-2012. UBE funds for the year 2018 stands at about 109.6bn. This definitely brings to mind another important question, which is what becomes of these funds? Will it just remain in CBN coffers with the bulk of unaccessed funds over the years, or will the States access it? Even after being accessed, another equally important if not more important question is that of what these funds will be used for, especially after they are accessed by states. Unfortunately, in the recent past, there have been allegations of misappropriation of UBE funds by many state governors. A typical example is that of Ekiti State whose former governor Dr Kayode Fayemi was alleged to have diverted the state UBE funds into questionable ventures. Fayemi the current serving Minister of Solid Minerals under the present Buhari-led Federal government has refused to honour the invitation of a panel of inquiry set up by the State House of Assembly to investigate the alleged misappropriation. It was also alleged that this situation in the turn of events got Ekiti State blacklisted by UBEC. Furthermore, other governors have yet been accused of obtaining bank loans to secure UBE matching grants for their states. Banks obviously would require interests on their loans, which interests must come from the Federal Government’s own contribution. In the end, what is left is a paltry sum to finance basic education. Is it any wonder therefore that despite the UBE intervention, many schools are still in dire need of education infrastructures? Some have dilapidated structures while others have no basic education infrastructures all together. Reports abound from various locations nation-wide of situations such as these. For example, a picture circulated online in recent weeks from a State in the South-South showed primary school pupils writing examination, while sitting on the bare floor. A major twist and contradiction about the situation however is the fact that the state in question is one of the high performing states who regularly access UBE funds in Nigeria. While education is on the concurrent legislative lists (making it the joint responsibility of both Federal and State governments), States of the federation are expected to have concrete plans for funding education. It is however very disappointing that most states now leave the funding of basic education in their respective states to UBE funds while they see the projects implementation as a prerogative of UBEC and by extension State Universal Basic Education Boards (SUBEB). If the UBE program were to end in 2018, how many States of the federation would still be able to adequately service the basic education sub-sector? Would this very vital sector not go moribund and enter into comatose? While this remains a question for another day, the utilisation of available resources for basic Education in Nigeria should be the concern of all and sundry. It is therefore the responsibility of every stakeholder in all states of the federation particularly in the education sector and basic education sub-sector to ensure that UBE funds accessed by their States are judiciously utilised. This they can ensure by asking relevant questions; requesting and getting access to their respective states action plans. The action plan will inform the stakeholders of the unit costs, project description, location and duration of implementation for easy monitoring. We must join hands to monitor the implementation of projects indicated in the action plan; checkmate the use of sub-standard products by contractors at projects sites and ensure transparency and accountability in the utilisation of basic education funds. This commitment ensures that Education For all is a Responsibility of All. The problem of lack of education among school-aged children must be addressed, before it gets out of hand; as it is tantamount to a time bomb awaiting trigger. This piece was written by Human Development Initiatives (2 Iwaya road, Onike, Sabo-Yaba Lagos) with the Support of the MacArthur Foundation to ensure judicious utilization of UBE funds in Nigeria.